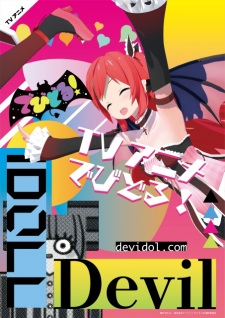 Plot Summary: Three devil girls Aira, Shima, and Hana live in the human world. Leading a dazzling school life with efforts and friendships, they aim to be idols. It's a heart-bumping anime climbing that stairs... Not! They don't know the answer to What is Idol? and weaver in the road to becoming an idol with trials and errors. Rocket-sensei will kindly (and sometimes strictly) lead them to become real idols in an unique way... for sure.